Running on Pixie Dust: Don't believe everything on the Internet. . .
Don't believe everything on the Internet. . . 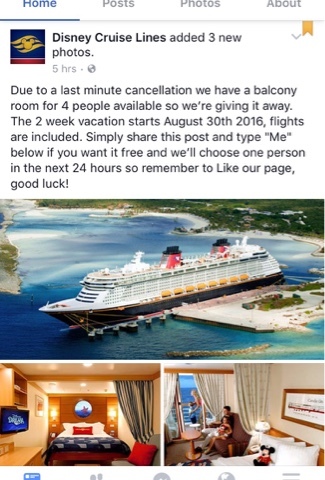 I've seen a growing number of my friends on Facebook sharing posts claiming to offer free Disney Cruise Line vacations or trips to Walt Disney World. My friends - I hate to burst bubbles - but these are all fakes. Yeah, they do a good job disguising their pages, but here a few easy ways to identify fake Disney giveaways from legitimate contests. Check the name of the page. . .carefully. The easiest way to check is the blue "verified" check next to the title. Facebook takes the question away by marking legitimate sites from ones that are often copied. You can also check a few things on the page. Many of these fake offers features a mild variation on what looks like a legitimate name. For example, Disney Cruise Lines or adding a period at the end of Walt Disney World. You can also check the number of fans for each page. Real Disney Facebook pages have over a million likes while some of these others only have several thousand. So why do these fan pages want you liking, sharing, and commenting on a contest that's a fake? The creators of these sites want you to engage with their page and then once they rack up a few thousand connections, they can change the content to something malicious or sell the information to cybercriminals. Pretty scary stuff. 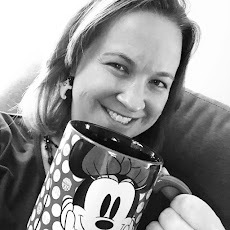 Does Disney ever offer giveaways? Of course! Just be careful before engaging with the content. Real offers from any Disney vacation destination will come from a verified page and have lots of legal jargon about the contest. Any contest that I've entered through Disney has also taken me to a separate page to enter; not just had me like, share, or comment. Moral of the story friends - be careful what you engage with on Facebook and anywhere else on the Internet. If it seems too good to be true. . .it probably is!